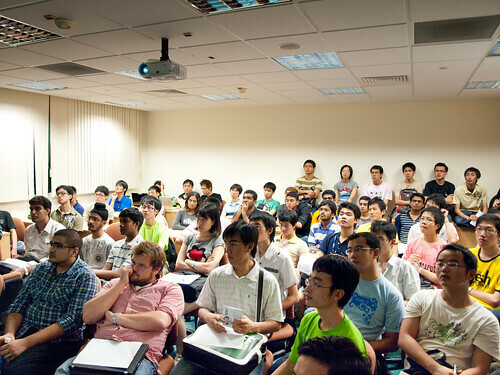 It’s really heartening to see such strong support for FLOSS (Free, Libre, Open Source Software) in NUS, and we’d really like to do more to help everyone learn and grow as much within the community as possible. Many have said mentioned to us that they’d really like to get more involved with the FLOSS community, but feel like they aren’t yet up to snuff. If you feel that way, don’t! The great thing about the FLOSS community is that all you need to do is ask, and someone usually has a handy solution waiting. Even better, tell us which activities you think will be most beneficial to you and we’ll absolutely try our best to get it done! Oh, and we were talking about contributing right? A few kind souls have mailed us expressing great interest in being part of the organising team (or Coreteam) for linuxNUS. 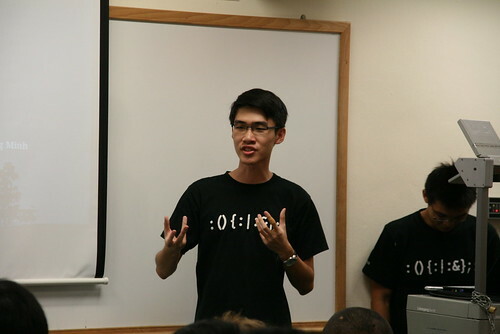 We’re always happy to have see new faces, of course, so if you’re ready to be part of one of the most active and diverse group of open source advocates in Singapore, join us (if you haven’t already)! The Welcome Tea might be over, but we’re definitely not putting our feet up! 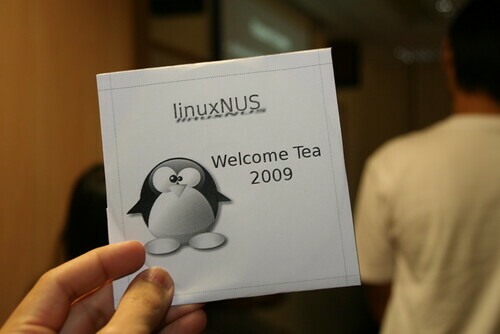 linuxNUS has a few great activities lined up, and we really hope you’ll be able to be part of them! In there coming weeks, stay tuned for the Installfest, and Hackfest (details to be confirmed). 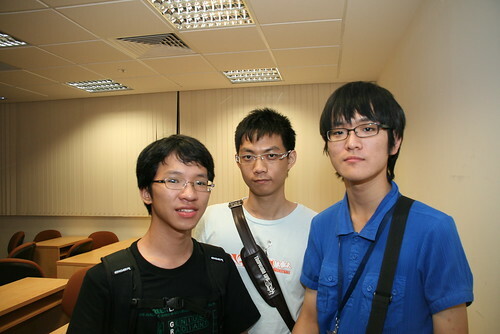 We will also be at Software Freedom Day Singapore 2009, Booth #7. The rest of the photos can be found here:  .